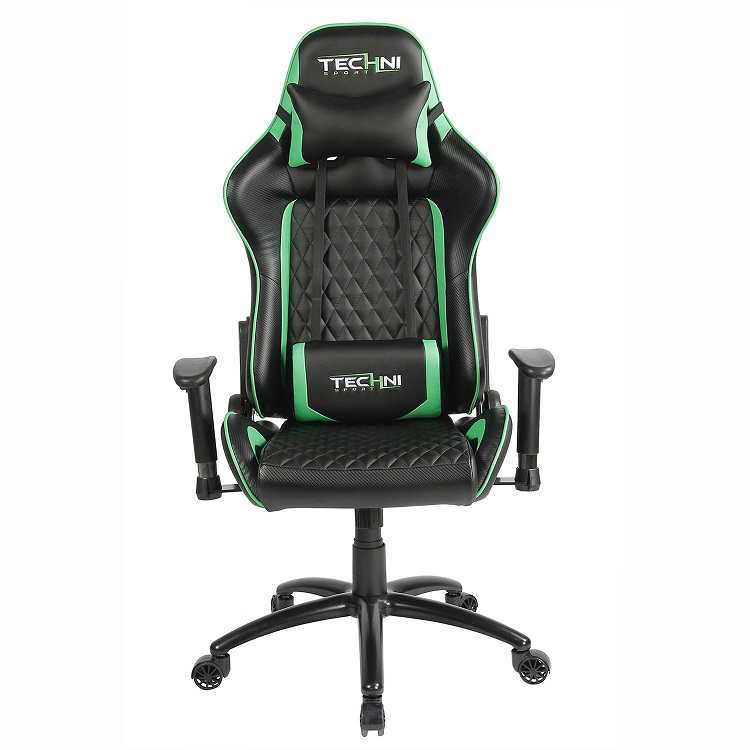 The Techni Sport TS-5000 Ergonomic High Back Computer Racing Gaming Chair will put the pedal to the metal on productivity in any office or game room. Unlike regular office chairs, it gives an eye catching racer style appearance and modern look to spruce up any environment. With the cool resemblance of a sport's car interior, let your imagination "race" as you recline and swivel in superb comfort for gaming or work sessions lasting 8 hours or more. 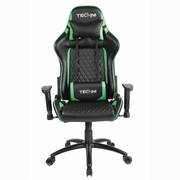 This ultimate computer gaming chair is made with synthetic TechniFlex upholstery and features a height adjustable memory foam seat, reclining back mechanism up to 150 degrees, tilt & tension mechanism control, ergonomic and adjustable headrest and lumbar support cushions, height adjustable and swivel armrests, and a durable steel base with non-marking 2" casters. 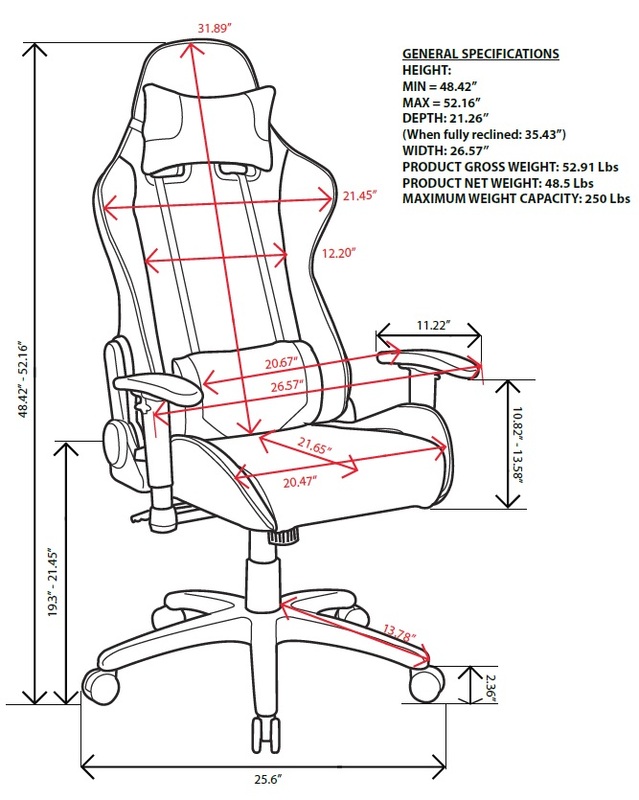 Seat adjusts from 19.3" to 21.45" high. Weight Capacity: 250Lbs.